After saving my son's life in October 2007, I now realize how precious life is. I've been showing others how they can protect their loved ones and avoid the pain I and many other have been through..
After 17 years at the Royal Australian Air Force, working as an Aircraft Maintenance Engineer, I've made a life changing decision and have dedicated myself to passing my CPR knowledge and experience onto others. Learn from my personal experience and passion. Why don't you ask us about how we can cater our training to suit your needs. Give me a call or send an email to check availabilities or organise your Training! Join on existing Courses or why not create a date that suits you..I am here to help! "Let me show how to save a life... I did - And YU Can 2! " 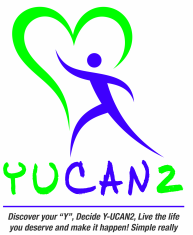 Before any training First Aid YUCAN2 carries out, you will need to register into the government website to get your own USI if you haven't already obtained one.. If you do have one, you will need to provide it when registering for Training.